Desi Smith/Staff Photo. Rev. 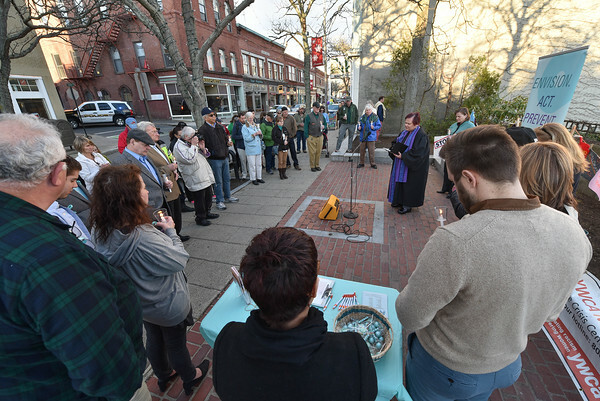 Cindy Antoruk of the First Baptist Church speaks to marchers who joined in the walk to’Take Back The Night' rally and march,to raise awareness of the fight against sexual abuse and domestic violence,that started at City Hall and ended at Cape Ann Savings Bank on Main Street Thursday night. April 30,2015.